If you’re in the restaurant business, offering translation to your customers is something that may have slipped your mind. It isn’t hard to see why: the hospitality industry offers plenty of challenges, and with all the spinning plates restaurateurs have to keep in the air at any given moment, something like translating menu information may not seem pressing. But demand from consumers and public officials for clear and legible information in restaurants is growing. It remains vital for any competitive restaurant to offer important information to customers in a clear and accurate form, which will often require the use of translation. We’ve all seen people in the grocery store eyeing food and drink packaging. It’s likely that they’re scanning the nutrition information printed on the back, looking for amounts per serving of sugar, fat and other items that could affect their health. It probably won’t be long before we start seeing this kind of nutritional information printed in all restaurants across the country. It’s already the law of the land in some places: California and New York City require many restaurants and coffee shops to post calorie information on their menus, and chain restaurants with 20 or more outlets across the country are required by the FDA to make calorie counts and nutritional information available. Restaurant owners will have to maintain a customer-friendly mindset when dealing with these changes. Let’s say a deli, coffee shop or taqueria caters to a sizable clientele that does not read English. Will their customers know what to make of a new, non-translated column of nutritional information printed on the menu? And it’s not just the paper menu: think about things like menu boards, placemats, flyers and websites, which all require translation in order to effectively communicate to customers. 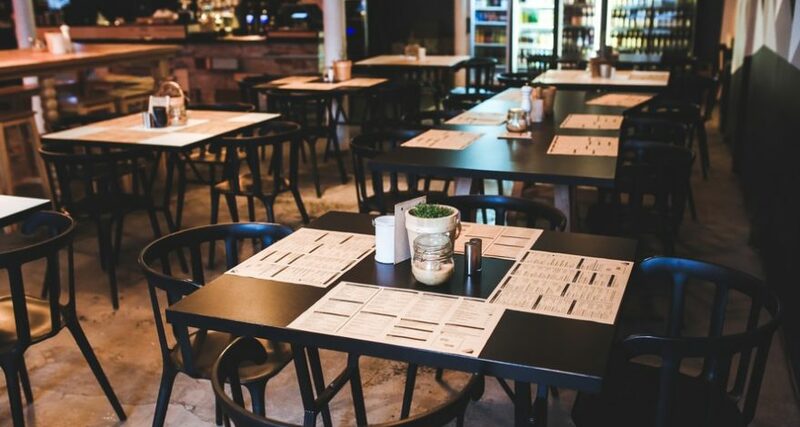 Customers who experience a bad menu translation or sub-par translation of other restaurant materials will perhaps think twice about frequenting a particular restaurant, or even about trying it in the first place. If your materials are effectively translated, restaurants won’t have to worry about required nutritional information detracting from a smooth, easy-to-read and enticing menu. If customers who speak another language are confused by the introduction of new information on a restaurant’s menu, imagine how they’ll feel if one of their favorite items on that menu suddenly vanishes. In New York City, former mayor Michael Bloomberg proposed restrictions on the sale of sodas and sugary drinks larger than 16 ounces. While these bans were struck down by the state Supreme Court, with concern about obesity and diabetes at an all-time high, it’s likely that similar proposals will pop up in cities and states across the country, as governments grapple with looming public health crises. Imagine a non-English speaking customer arrives at your restaurant ready to down his supersized soda and finds that it’s gone. If he doesn’t see a clear explanation of the situation translated into his language, he might conclude that it’s just your restaurant that has done away with the item. The lesson for many restaurant owners is clear: their customers need to know why an item may be missing. The above situation, or something similar to it, could be avoided with a clearly and accurately translated explanation of any new regulations. Greater regulatory oversight, combined with broader cultural shifts in attitudes to food, health and corporate accountability, mean that the food industry is trending toward greater transparency. It’s important to keep all customers equally informed as regulatory changes take effect. For many restaurants, this will bring an increased focus on translation. New laws mandating calorie counts and regulating certain foods reflect broader concerns about the health consequences of the food we eat. The businesses that serve that food will have to keep up with regulation, as well as customer preferences. Ultimately, effective translation enables restauranteurs to communicate effectively with their customers – and that’s good for business. Looking to start translating your menus and other materials? Contact Accredited Language for professional solutions that work.